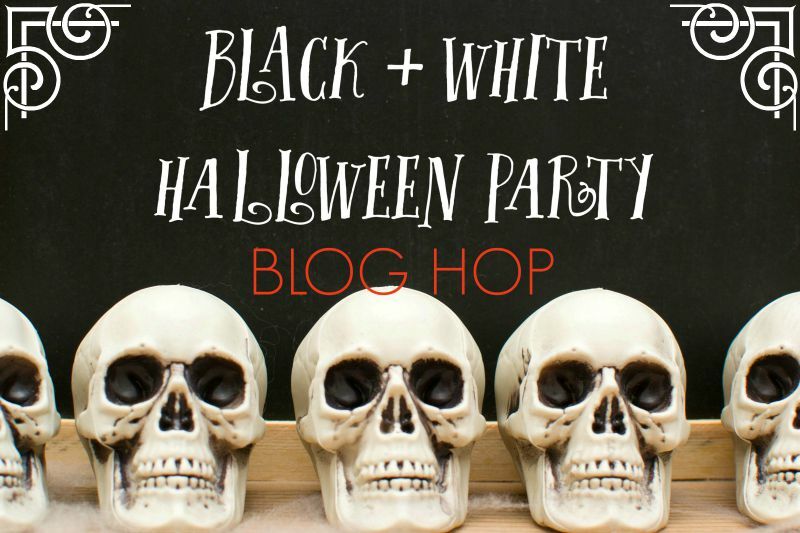 Welcome to the Black & White Halloween Party Blog Hop—the one stop shop for all your Halloween party needs! I’m so excited to be teaming up with the lovely ladies from Lemon Thistle, Michelle’s Party Plan-It, Cupcakes & Cutlery, Feast + West, Club Narwhal, Straight From the Jar, Like the Cheese, The Celebration Shoppe, and Not Just a Mommy to help you plan the most rad Halloween party ever! 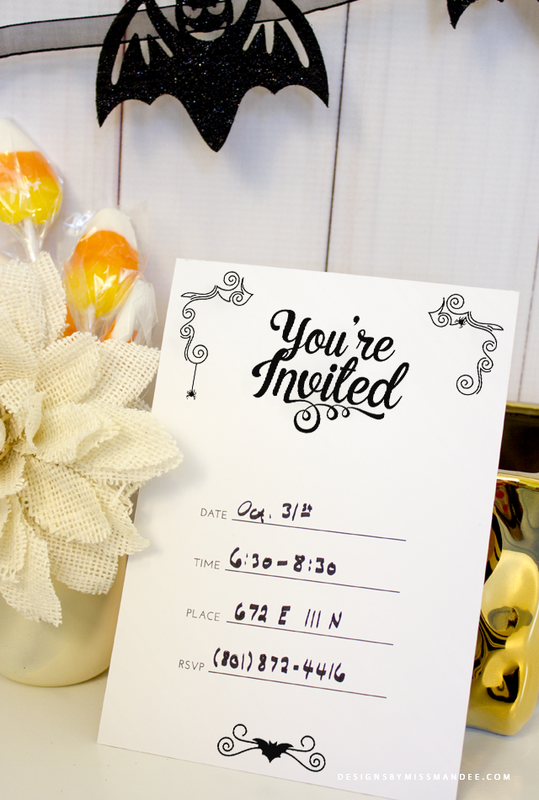 I’ve got a Halloween party invitation that is going to rock your socks! It’s perfect for a classy Black & White-themed get together. What do you think? I just love that font (it’s Anastasia, in case you were wondering). Halloween is such a fun holiday! As a kid, it’s awesome—I mean free candy AND you get to dress up like a Power Ranger (maybe an out-of-date reference)—doesn’t get much better than that. It was the first [big] holiday my husband and I celebrated together after we got married three years ago, and now it will be the first holiday we celebrate in our new home—I’m so excited! If you’re new to my blog, then you’ll want to check out some other spooky-fun freebies I’ve offered in years past, including Halloween treat bag toppers and patterns. And definitely stay tuned, because I’ll be sharing even more sweet Halloween party freebies later this week! 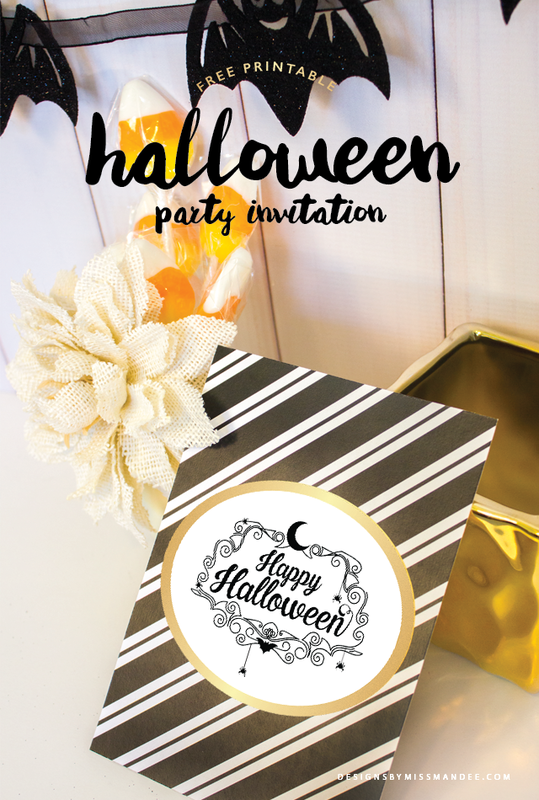 Enjoy the party invitation and have a happy Halloween! Do you like to throw an annual Halloween party, or will this be your first? 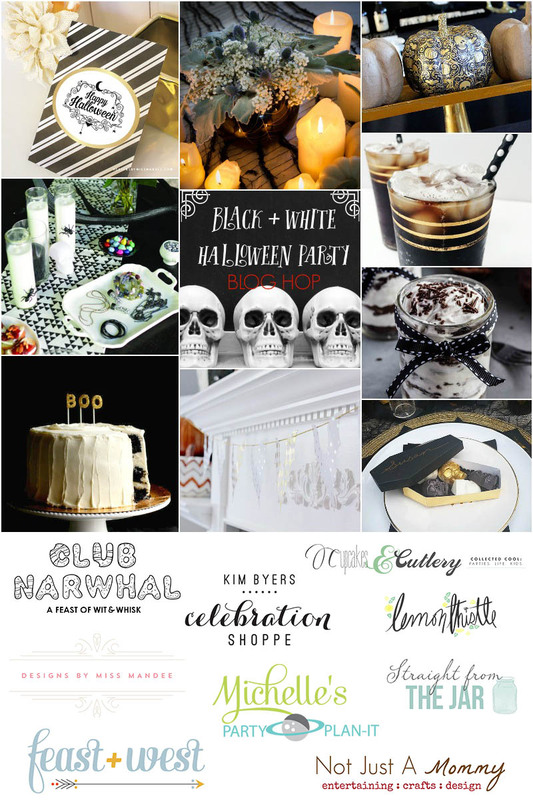 Be sure and hop over to all the creative blogs who are part of our Black + White Halloween Party Blog Hop; from invitations to party favors and everything in between, we have lots of inspiring Halloween party ideas to share. Need even more black and white Halloween party ideas? 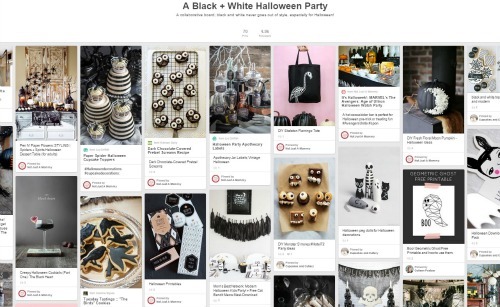 Check out and follow our collaborative Black + White Halloween Party Pinterest board; so many great ideas are pinned there! Love this invitation! That little bat detail at the bottom is my fave! These are so adorable! I love how simple and elegant they are, which makes for a classy invitation! LOVE. I love these Mandee!! Your printables always impress me but this one I think I’ll be using very soon 🙂 The little spider hanging from the decorative detail in the corners is adorable. Love the striped background design on the invite.